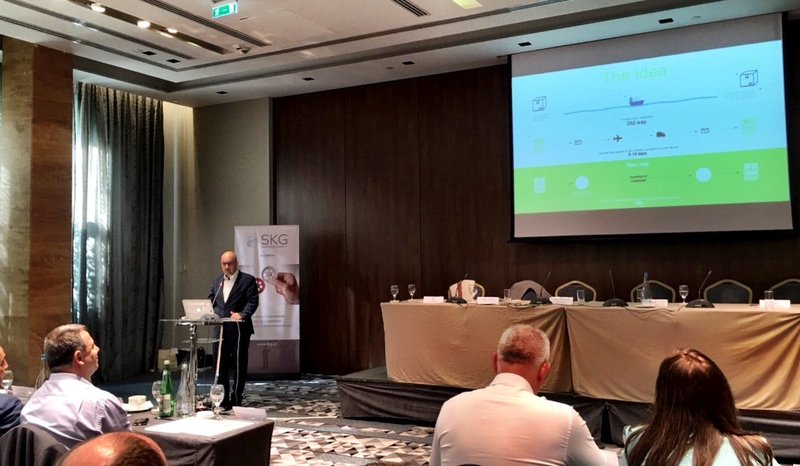 June 5, 2018, 4 p.m.
(Belgrade, 31 May 2018) - The CargoX Smart B/L solution was presented by Igor Jakomin, Ph. D., CBDO at the traditional EurTradeNet Annual 2018 event. More than 50 top managers from companies operating throughout the whole EU had the chance to see the Smart B/L at work, along with guests from Eastern Europe Customs offices. The event was another great opportunity to present the revolutionary blockchain-based CargoX Smart B/L solution to its end-users. This time it was the members of the EurTradeNet (ETN), European Alliance of customs-related service providers (CRSPs). ETN forms a unique knowledge network that joins local expertise in information handling services and communication solutions to assure the most effective implementation of eCustoms Europe-wide. This EurTradeNet Annual was the 15th in a row, and therefore a special one. The organisers considered very carefully who can present a solution at their event, based on the relevance in the sector, and complementary perspectives they could give to the ETN members. “We agree with the organisers about the importance of multi-country dialogues in highly professional environments, where we would also like to participate with our global, immutable, trust-based solutions for the transfer of valuable data and documents through blockchain,” emphasized Igor Jakomin. The EurTradeNet member companies have 4,400 employees, a 547 million euros annual turnover, and more than 66,450 customers worldwide. They deal extensively with foreign trade operations and intercommunity transit, so they need to exchange key customs and trade information. They have different workflows, but EurTradeNet has worked hard in the past to balance local diversity against European homogenization. At the country level, the ETN partners provide the information handling and secure communication with the local Customs Authorities. As an umbrella organisation, EurTradeNet allows them to share knowledge, project common activities, and optimize the deployment.